Manufactured at our factory in Chertsey. Extremely sturdy, well made trailer. 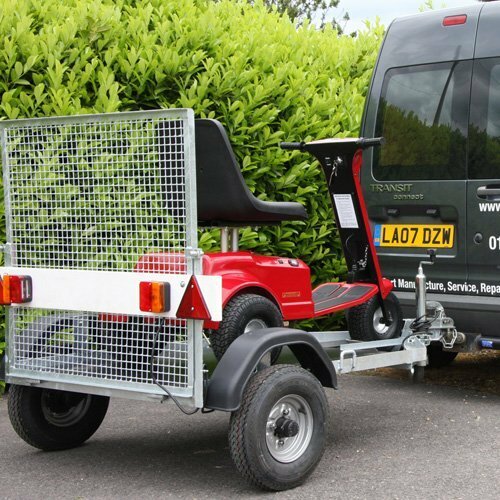 The drive on trailer has a sturdy welded frame and hitch. The fold-down gate that doubles as the ramp. *Many customers make their own arrangements to collect and hitch to their own vehicles. Carriage can, of course be arranged whenever necessary).